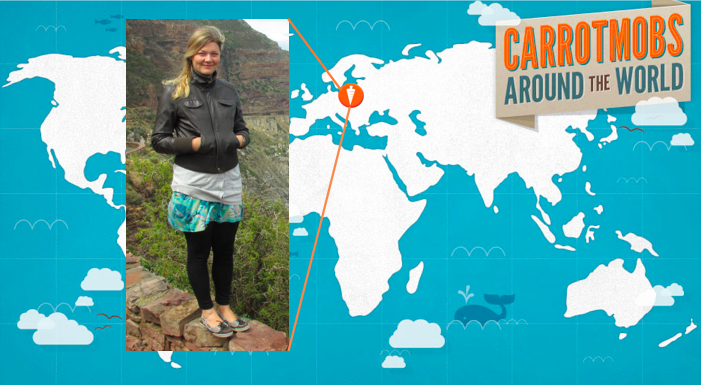 In which Carrotmob wanders the desert, spending 6 months with very little support. In the summer of 2009 we were dealing with the strain of trying to juggle many different projects, but it was also a whole lot of fun. We had built quite a team! We had an awesome office at 164 South Park (which has also been home to Twitter, Get Satisfaction & Instagram, among others), and every week we would all eat lunch in the park and frequently talk about what kind of company we wanted to be. We brainstormed crazy ideas, and debated all sorts of questions: Should our projects all work together, or be thought of as separate? Should we plan to acquire new projects or build them in-house? What sort of incubator do we want to be? What sort of funding mechanisms would be most helpful? When will we expand beyond environmental issues and do projects related to poverty, education, social justice, etc? Should we experiment with other legal structures, like non-profits, B Corporations, L3Cs, Co-ops, etc? Lots of movers and shakers in the social enterprise field would stop by and join the conversation. We had a couple big parties, because that’s how we liked to roll. We had more than one “mid-life crisis” as a company. But mostly, we worked hard on One Block Off The Grid. One Block Off The Grid was born as a group purchase program for solar power systems. 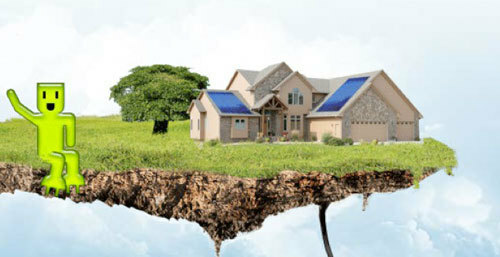 We would get a bunch of homeowners together who were interested in going solar, but sort of intimidated by the process. Then we would negotiate on behalf of the group to get a big group discount, and make the process really easy. By doing this, we found that we were able to help many more people go solar than would otherwise have done so. One Block Off The Grid was flourishing, because it was a great idea, executed well. It got more and more momentum, but meanwhile our vision for Virgance the incubator continued to drift. Since then, 1BOG has helped thousands of people to go solar. So what to make of Virgance? 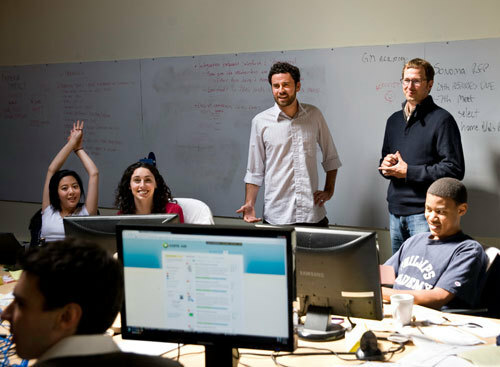 It was a success in the sense that we successfully incubated and built a great company designed to improve the world. It was also a failure in the sense that the incubator idea itself collapsed and never really materialized into something that worked well. But the team at Virgance was great, and have all gone on to do very cool things. Now, this is the story of Carrotmob, so what, you may ask, was the impact of Virgance on the arc of Carrotmob’s history? Let me tell you…. One fantastic thing about my co-founder at Virgance, Steve Newcomb, is that he loves to teach and mentor others on how to be entrepreneurs, and he’s really good at it. I was very lucky to be in a position to learn as much from Steve as I did during this time. He’s a genius. Sometimes he’s also completely nutballs crazy. Sometimes he claims that up is down. When he does this, it is maddening. But for every 4 times he says something like this, there’s one time when it turns out that up actually is down, and he was the only one who could see it. Watching Steve practice the art of business was mind-blowingly educational for me. 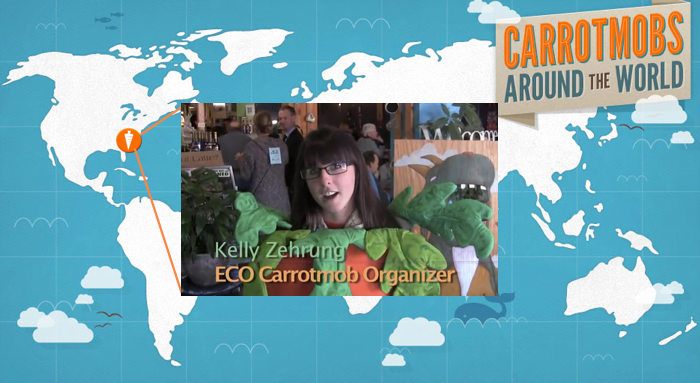 When the first Carrotmob campaign happened, I wasn’t the least bit equipped to make Carrotmob successful on a large scale. The experience of building Virgance and learning from Steve changed that. Big picture: Virgance didn’t end up producing that much tangible value for the Carrotmob movement, but it taught me how to be an entrepreneur, and left me much better equipped to lead the Carrotmob organization to success. 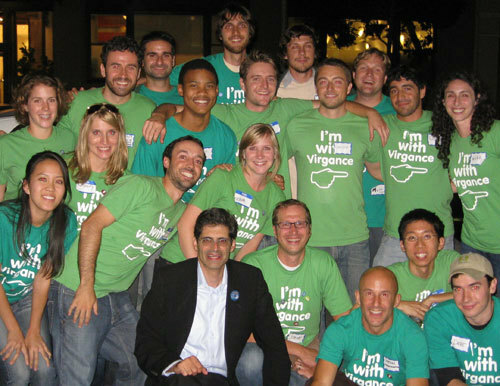 I’m thankful for everyone who was involved with making Virgance happen. That team will always feel like part of me and should always feel like they are part of Carrotmob.